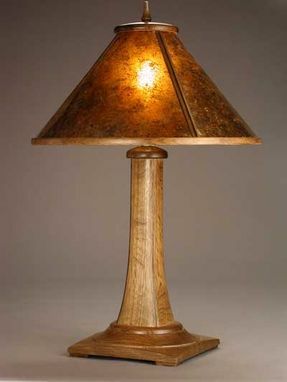 This table lamp is features a turned base, a turned and hand shaped body, and either an octagonal "Pagoda" shade, or a "Conical" shade. 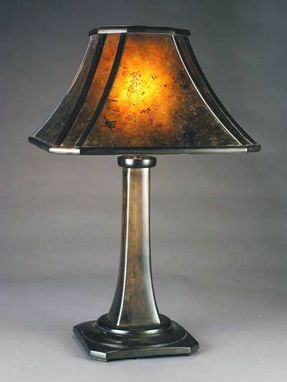 The translucent panels are either classic amber Mica plate, or a natural "silver" mica plate. The lamp base stands 15 1/2" tall with a base 8 1/4" square. 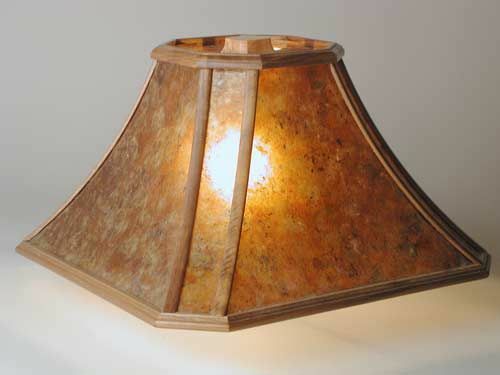 The pagoda shade is 16" square by 9 1/2" high, giving a 25" overall height. 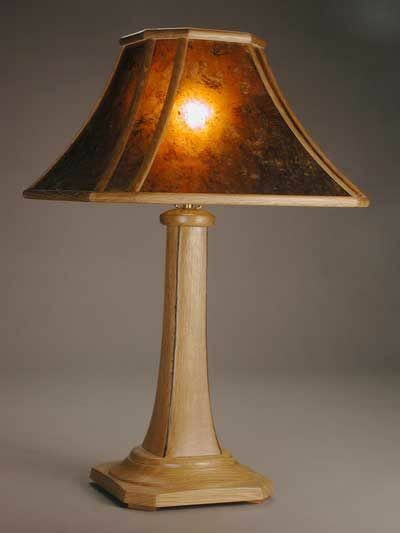 The lamp is available in fumed quarter-sawn white oak, or in cherry with a medium "antique" finish, or a dark "ebonized" finish. An S-shaped cluster holds two bulbs horizontally, with pull chain switches for each. 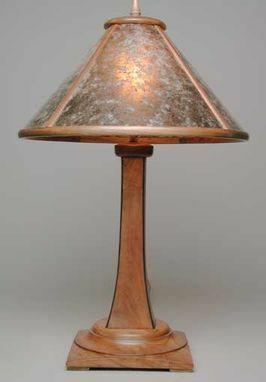 A 3-way vertical lamp socket can also be used. 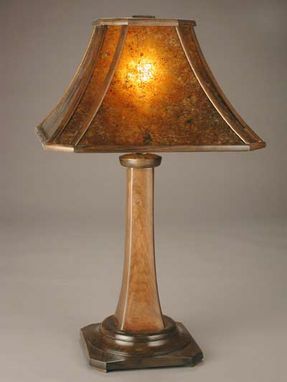 A larger version of this lamp is also available.